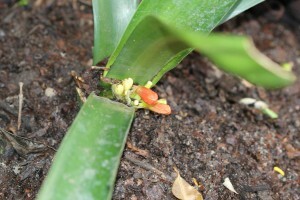 Home > Blog > Christine's garden > What’s up with this Clivia? 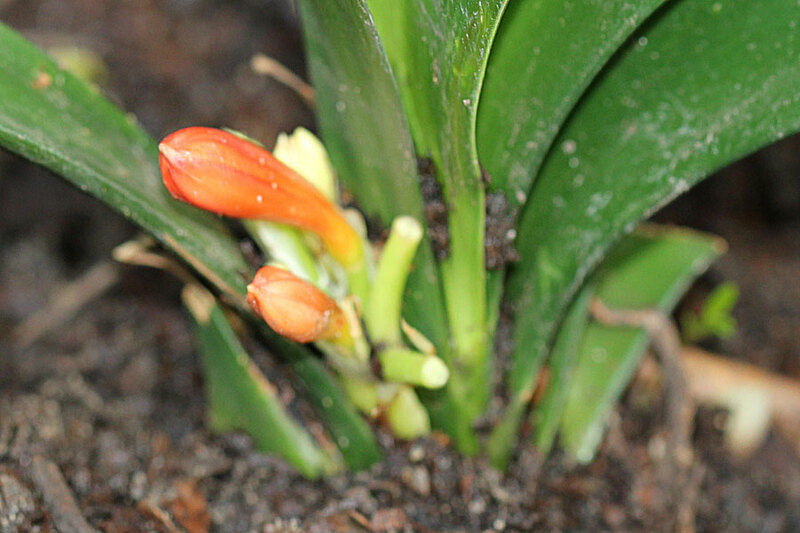 What’s up with this Clivia? I have quite a few Clivias (Miniata) in the back shade garden growing beautifully under the trees. Some are a few years old already as I inherited them when we moved here. Then a few more were purchased two years ago and a handful more in August last year. The oldest ones have flowered beautifully in the past. There are two really big plants and when they flower they are quite beautiful. They’ve flowered for three years in a row, if I remember correctly, and its always starts around September (Beginning of Spring). But here is a very strange type of growth on one of the plants. I don’t think this is one of the new ones … it doesn’t look new, but I could be wrong. 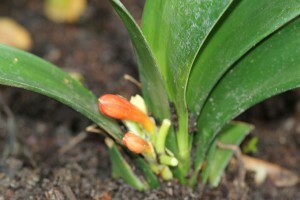 As you can see from the photo, instead of growing a stem and the flowers forming a cluster atop of the stem, the cluster is developing without a stem so its sitting in the leaves. Any ideas as to what would cause this and whether there is anything I can do to correct it? I have seen this before on other plants, but always thought it was virus related. The cold period does seem like an answer though. 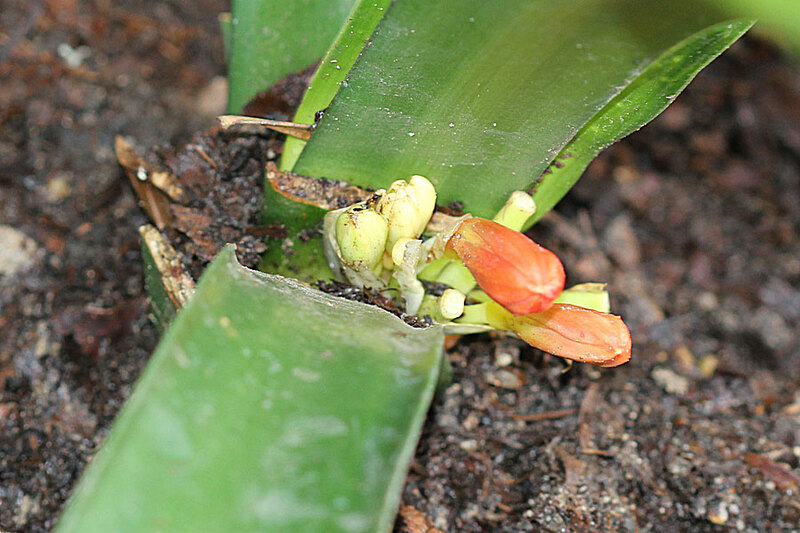 I did a quick Google search and found a Clivia forum on GardenWeb… it seems that this is usually related to the plant not having a long enough cold period. Since most of those people grow theirs in pots and have to bring them indoors for winter, their advice is not always applicable. Other posts seem to indicate that sometimes this just happens with Clivias.